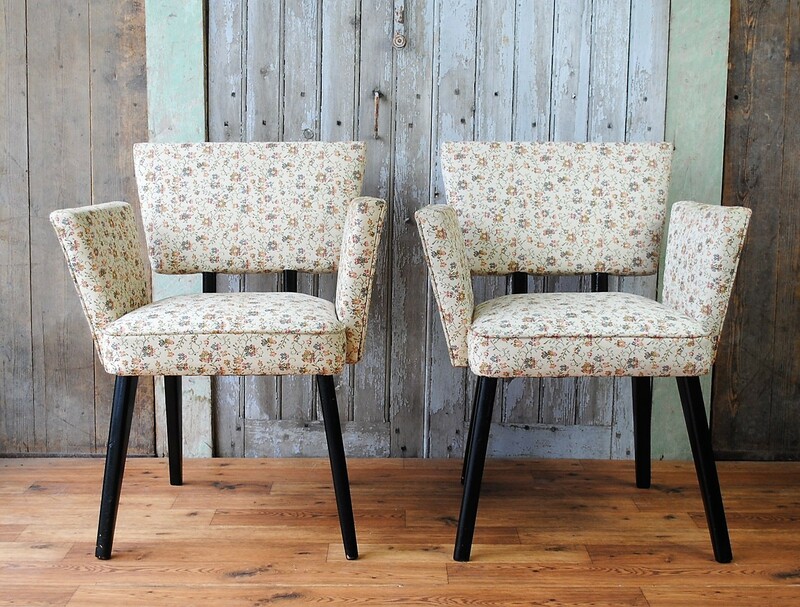 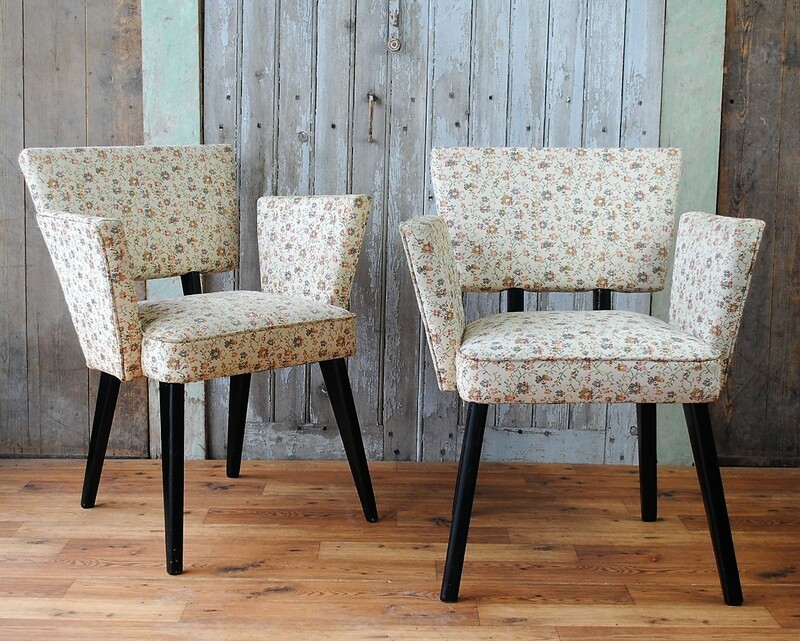 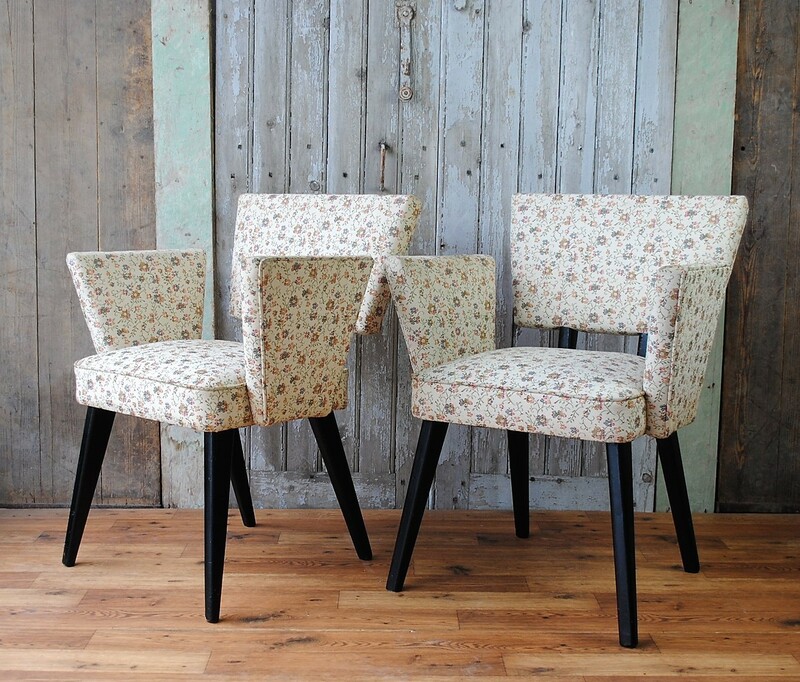 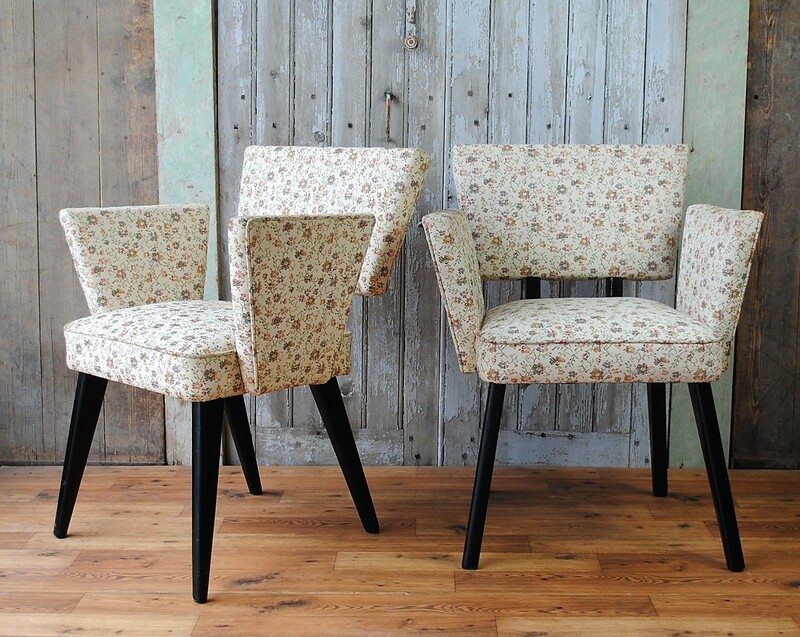 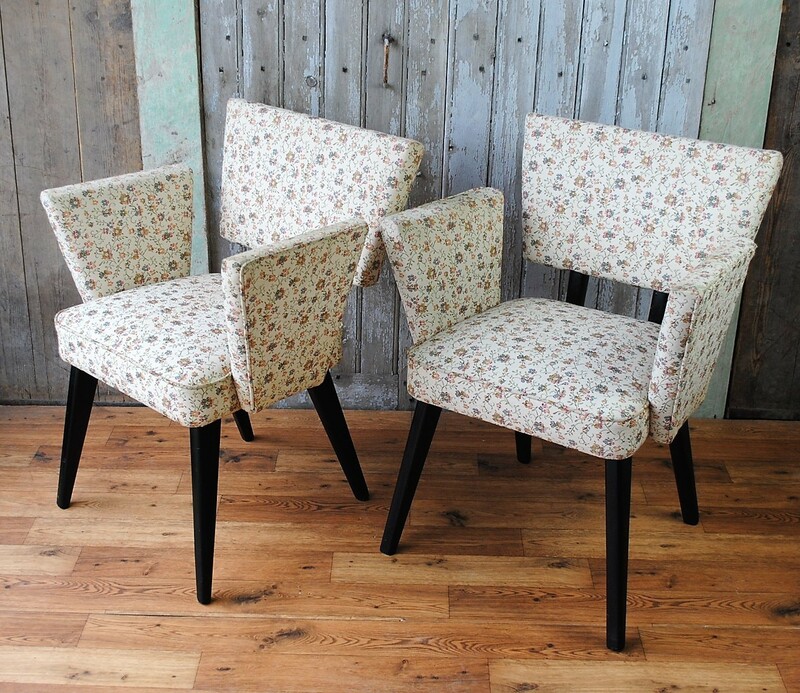 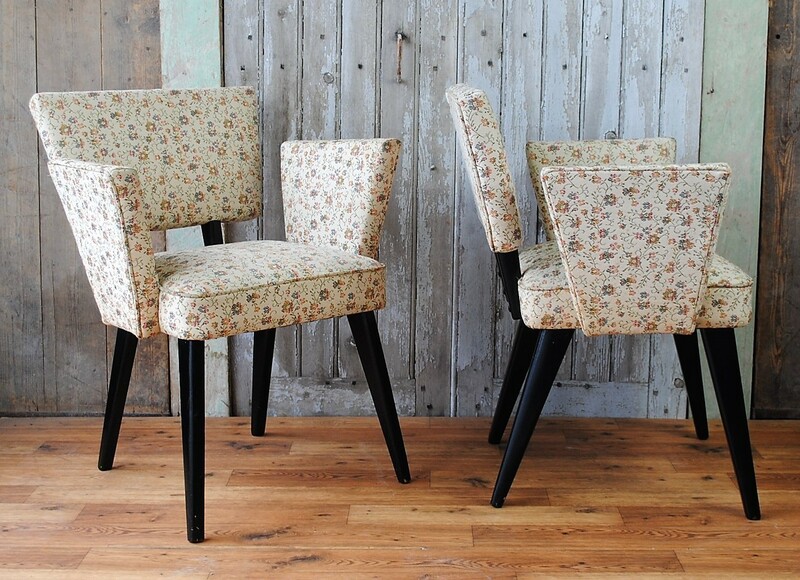 Ebonised beech wood frame with original floral upholstery and a distinctive angular design. 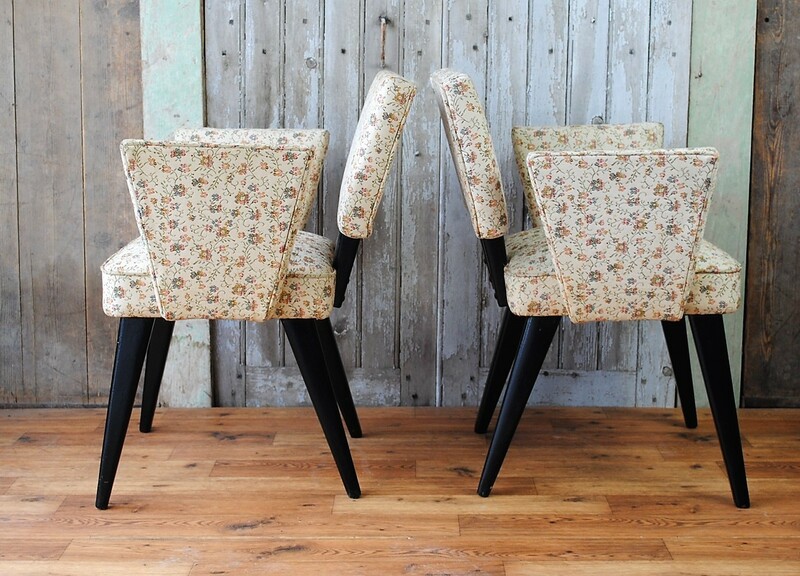 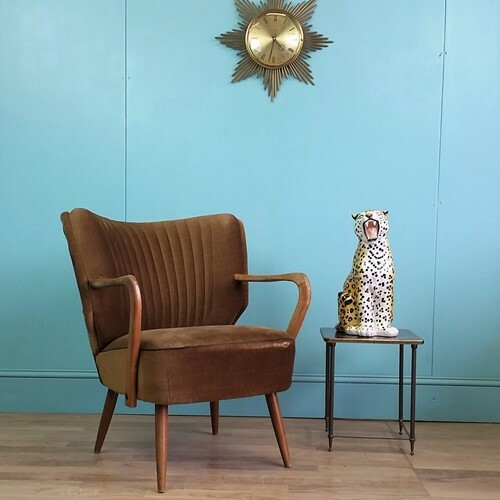 Both chairs are in good vintage condition with only minor wear and markings from age. 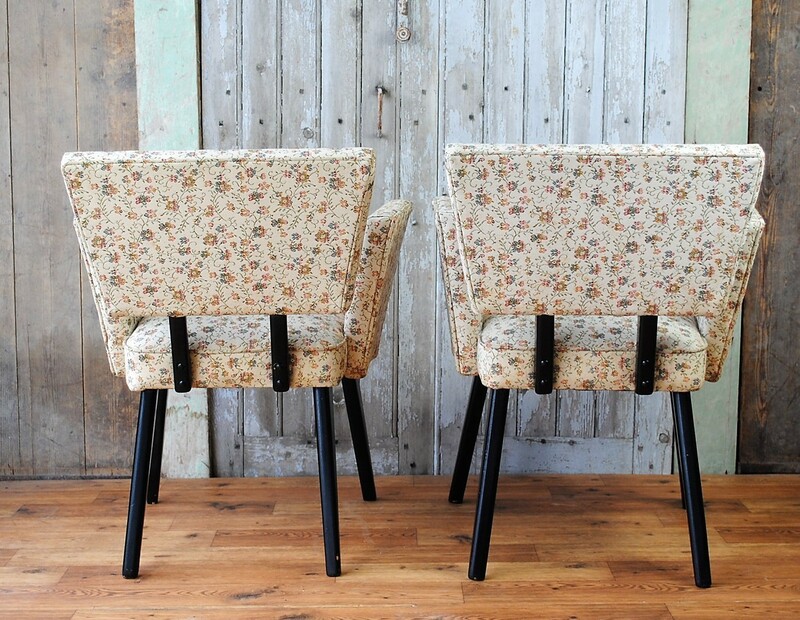 Being sold as a matching pair. 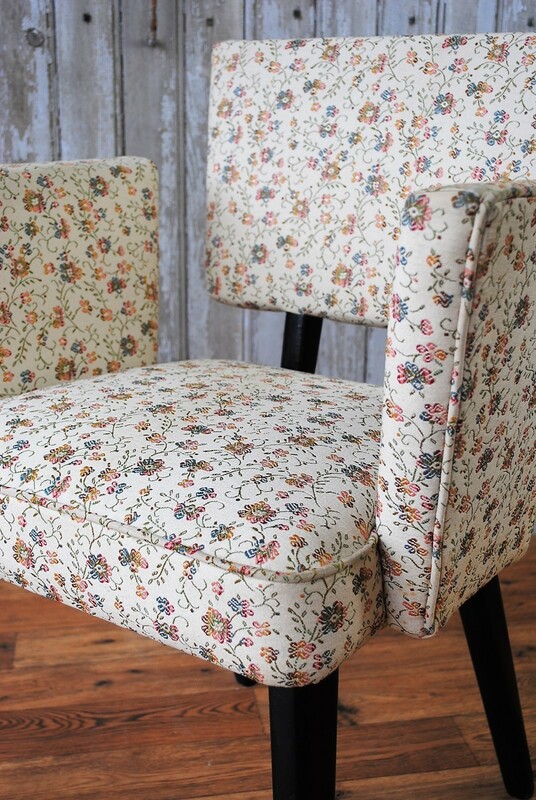 Dimensions : 64cm width x 50cm depth x 45cm seat height x 78cm back height.